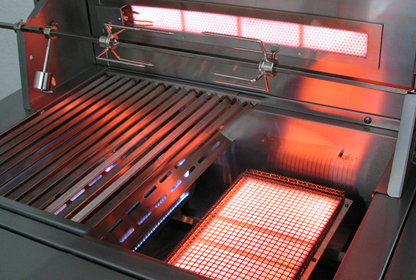 The Absolute Best Custom Outdoor Kitchen Designs and Manufacturing. With over 3500 Custom Built In BBQ Islands Built in The Past 15 Years No One has Designed and Manufactured more Custom Outdoor Kitchens. Custom Outdoor Kitchen With Twin Eagles Grill And Bar. Custom Outdoor Kitchen Island With DCS BGB Grill and Double Side Burner. Custom Outdoor Kitchen And 90 Degree Bar Top Counter. Custom Outdoor Kitchen With Built In DCS BGB Grill And Side Burner. Before and After Custom Outdoor Kitchen Refinished, Revitalized. Gas Side Burner Assistance: General Design.